We didn’t know there was that strict division in Black and White America. That was the funny thing at times when you suddenly found that there were certain pubs where the blacks were not allowed in, and we just couldn’t work that out. 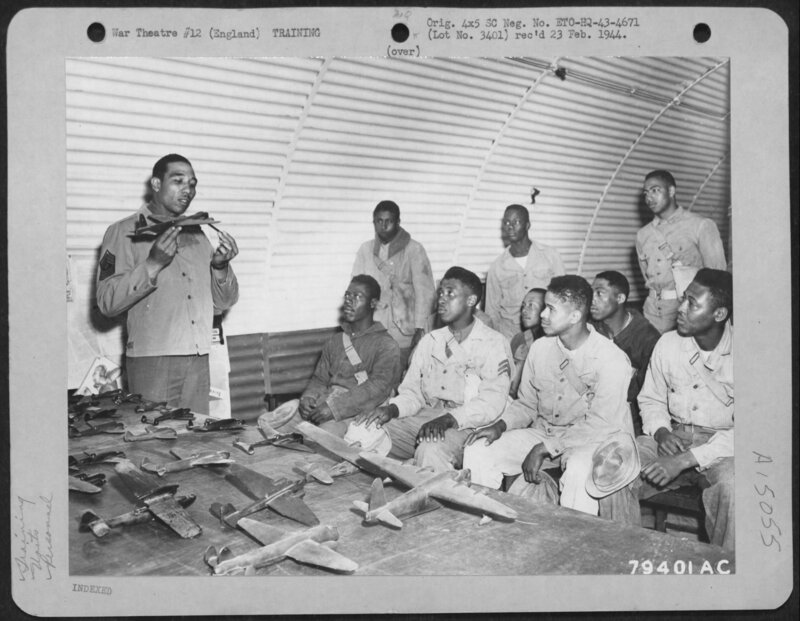 Before 1941 African-Americans were excluded from serving in the US Army Air Corps, which was the predecessor to the US Army Air Forces. 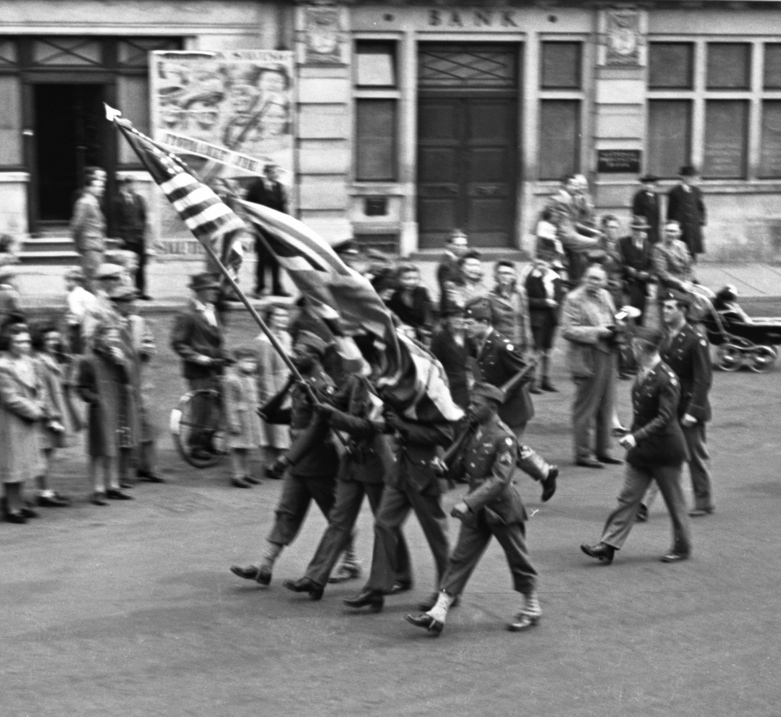 The 1940 Selective Training and Service Act forced the War Department to begin accepting Black G.I.s, though it only did so by creating segregated all Black units. 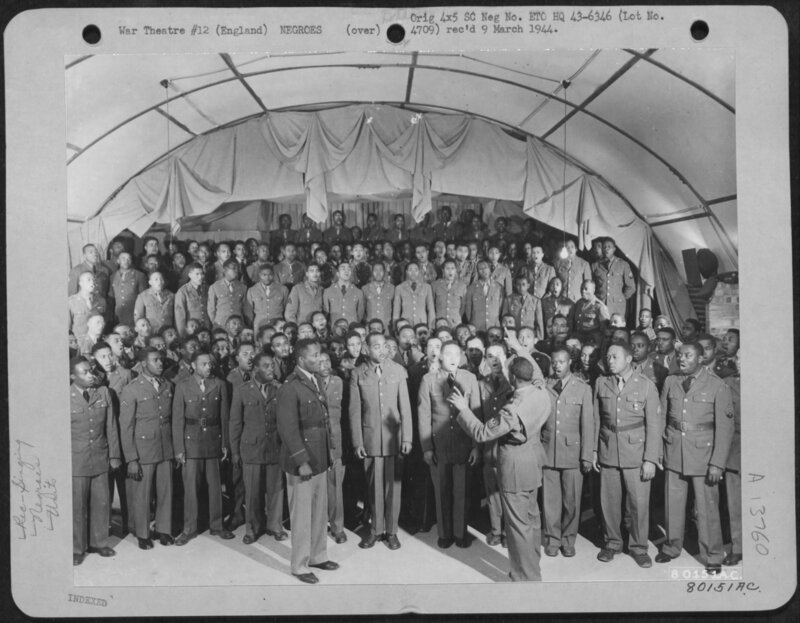 These groups, with the exception of the famed 322nd Fighter Group and 477th Medium Bombardment Group known as the Tuskegee Airmen, were mostly organised into support units that served across all theatres. 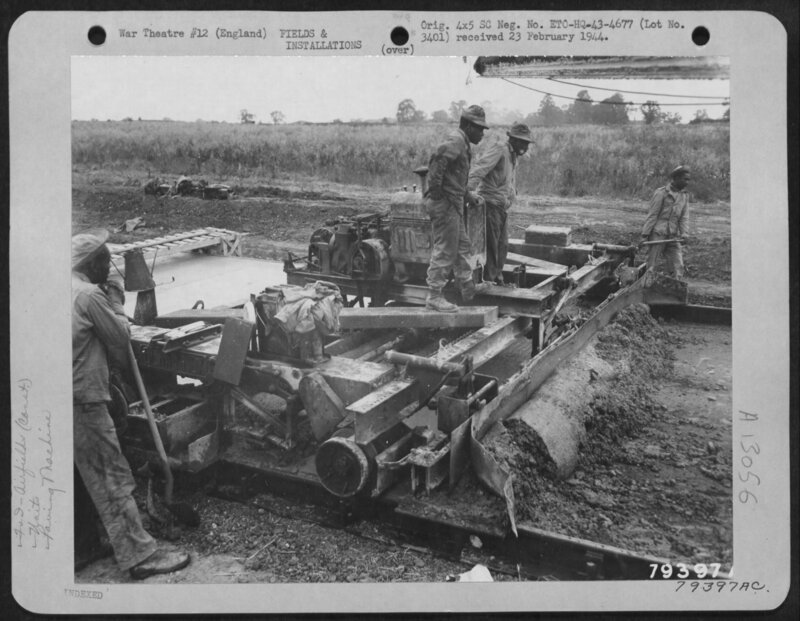 In the 8th USAAF in East Anglia, Black US G.I.s served exclusively in ground support units. A few of these were Aviation Engineering Battalions who were sent ahead of the rest of the units and tasked with the job of quickly building airfields across the country-side to accommodate for the growing number of American bombers entering the region. 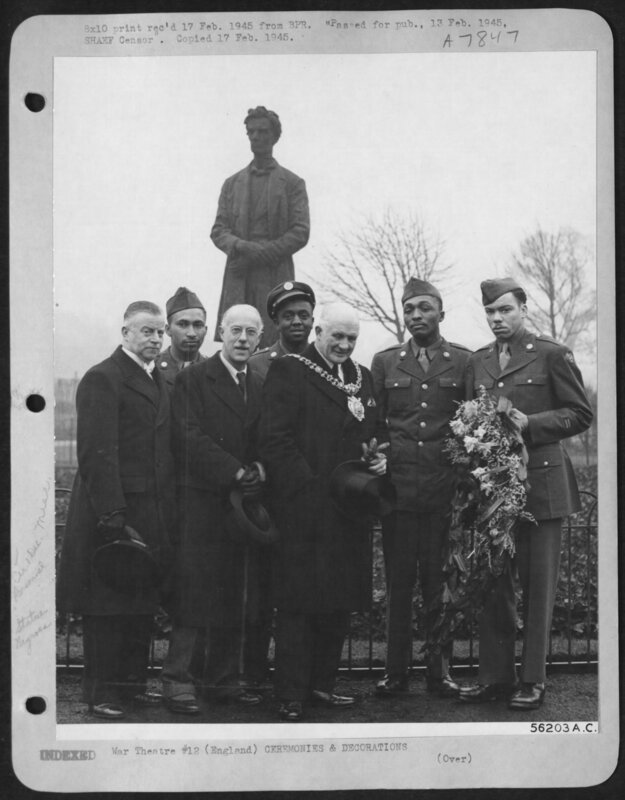 Generally, Black GIs were welcomed by the local communities and many friendships were formed. 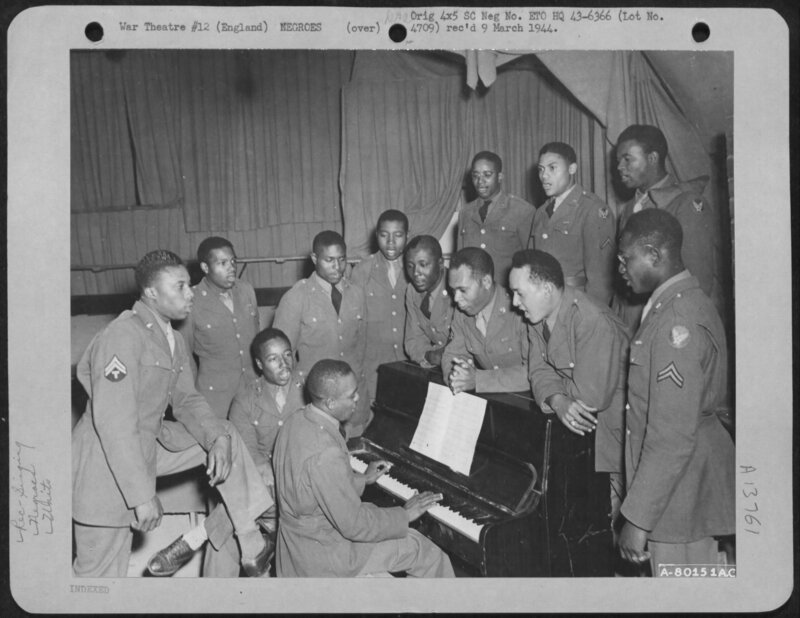 As a result, the African-American men of the 8th USAAF, when off base, experienced a life without segregation. Many of these men came from the cities and rural communities of the Deep South where racism and segregation were enshrined into laws known as “Jim Crow” which were enacted not long after the end of the US Civil War. 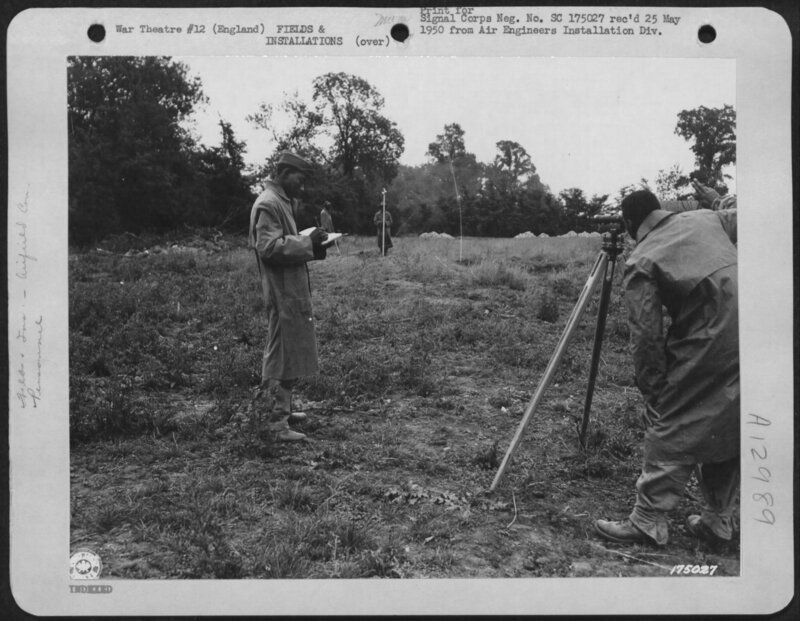 While they were constructing the airfields they were usually the only Americans in the area and they had free reign to travel and visit local establishments as they pleased. This quickly ended once white Americans showed up and enforced their own segregation rules on the Black G.I.s. Some clubs, bars, and pubs held different “Black” or “White” nights to cater for both groups. 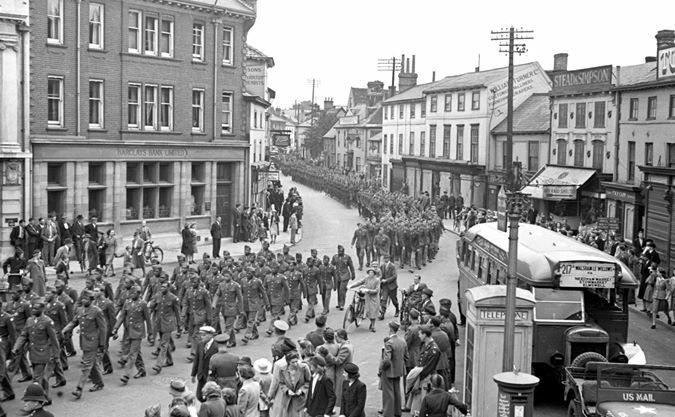 Some towns, like Bungay, located near to where Black servicemen were station effectively became “Black Towns” where the local pubs and Red Cross clubs would serve the African-American G.I.s, while others were “White Towns” where Black Americans were not allowed to visit on leave. Larger cities like Ipswich had demarcated zones to segregate the men. 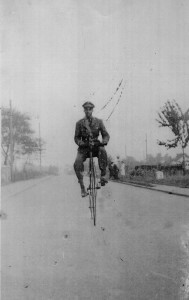 These restrictions were imposed by the US Army without much grievance from the British government. However, the citizens of East Anglia found these divides strange, even those who had never seen a person of colour before. They invited the Black G.I.s into their homes, they drank with them in the pubs, danced with them at parties and even dated them romantically.